Stephen Hawking is a romantic. His favorite song is "Have I Told You Lately" by Rod Stewart. His favorite movie is "Jules et Jim," a famous 1962 French film about a love triangle. And the mystery he finds most intriguing? Women. Reddit published Hawking's responses to 11 questions on Thursday, a little over two months after the AMA began. The thread received over 9,000 questions in the span of a week, making it the third-largest AMA in Reddit's history. 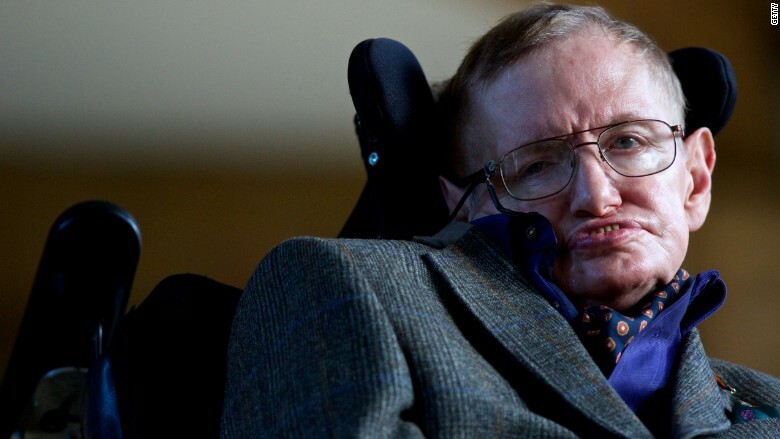 Hawking worked with Reddit's moderators to gather questions and respond in his own time. He has suffered from the motor neuron disease ALS for the past forty years, and communicates through a computer. The AMA's primary purpose was to debate the benefits and consequences of AI, or artificial intelligence. Hawking and other tech leaders, such as Elon Musk and Bill Gates, signed an open letter to researchers earlier this year, urging them to consider the risks of AI. Hosting the Reddit AMA was another way for Hawking to draw support for a Nokia- and WIRED-sponsored initiative called #maketechhuman. When asked to clarify his view on AI -- if he truly believed in a Skynet-like evil -- Hawking said his view has been misrepresented. "The real risk with AI isn't malice but competence," Hawking wrote. "A super intelligent AI will be extremely good at accomplishing its goals, and if those goals aren't aligned with ours, we're in trouble." He gave an example: "You're probably not an evil ant-hater who steps on ants out of malice, but if you're in charge of a hydroelectric green energy project and there's an anthill in the region to be flooded, too bad for the ants. Let's not place humanity in the position of those ants." Below are a few more excerpts. You can read all of his answers here. Is it possible for machines to become smarter than their creators? It's clearly possible for something to acquire higher intelligence than its ancestors: We evolved to be smarter than our ape-like ancestors, and Einstein was smarter than his parents. Are we facing imminent threat from intelligent machines? Don't trust anyone who claims to know for sure [how long it will take to build human-level AI]. When it eventually does occur, it's likely to be either the best or worst thing ever to happen to humanity, so there's huge value in getting it right. We should shift the goal of AI from creating pure undirected artificial intelligence to creating beneficial intelligence. What is the risk of "technological unemployment" where machines take jobs? The outcome will depend on how things are distributed. Everyone can enjoy a life of luxurious leisure if the machine-produced wealth is shared, or most people can end up miserably poor if the machine owners successfully lobby against wealth redistribution. So far, the trend seems to be toward the second option, with technology driving ever-increasing inequality.